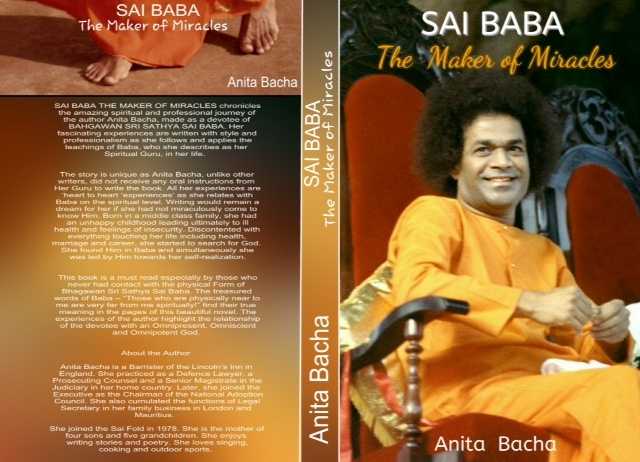 I have revised and corrected my first book The Maker of Miracles (2006) and self- published a new edition SAI BABA THE MAKER OF MIRACLES (2015). It is available in epub and emobi versions. This entry was posted in Aum Sri Sai Ram, Books of Anita Bacha, Experience of a Sai Devotee, Miracles, Sathya Sai Baba and tagged Aum Sri Sai Ram, Books of Anita Bacha, Experience of a Sai Devotee, Miracles, Sathya Sai Baba by Anita Bacha. Bookmark the permalink.